Al Auguste is a cool cat. 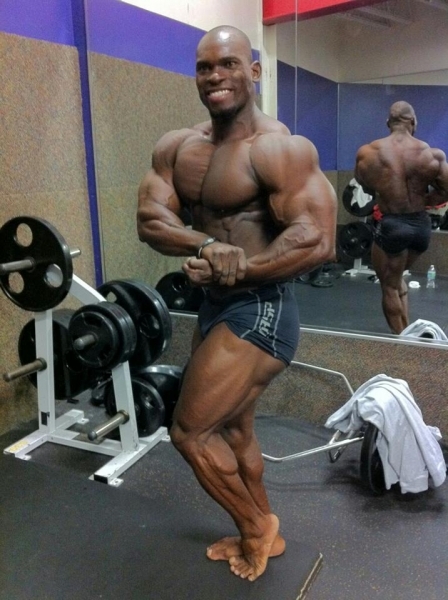 With the help of trainer, mentor and IFBB Pro Don Long, Al Auguste turned pro in 2010 and has been determined to make a mark for himself in the 2011 and 2012 Bodybuilding Season. Already, The Hybrid has taken the 2012 Desert Classic earlier this year, and is now back at it preapring for the 2012 Europa Show of Champions 212 Class. Al has always been known to hit his mark. Perhaps the pressure was on last year the Olympia, but it looks like his confidence is back and is a top 3 finisher this weekend.